The field computation feature of the µWave Wizard™ is suited for the visualization of the electric and magnetic fields at critical parts inside waveguide circuits and structures. 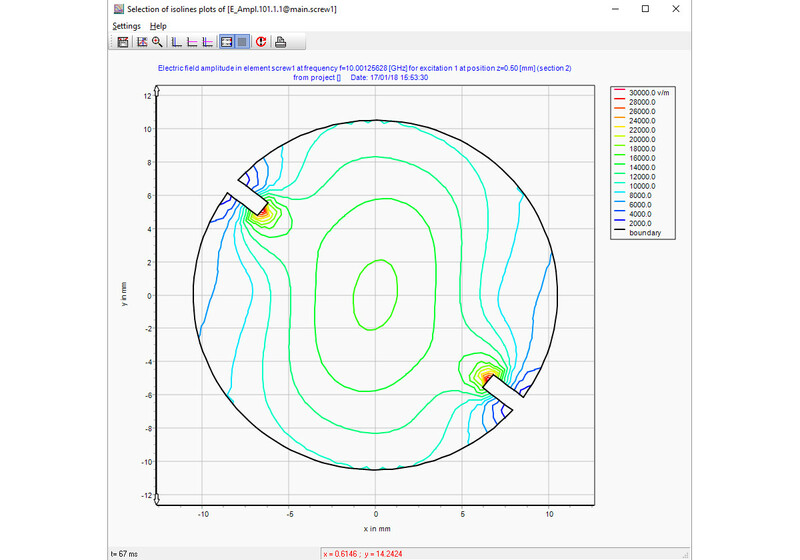 From the output of the field plots the user can estimate the power handling capabilities of filters and transitions and thus eases the CAD of high-power microwave devices. 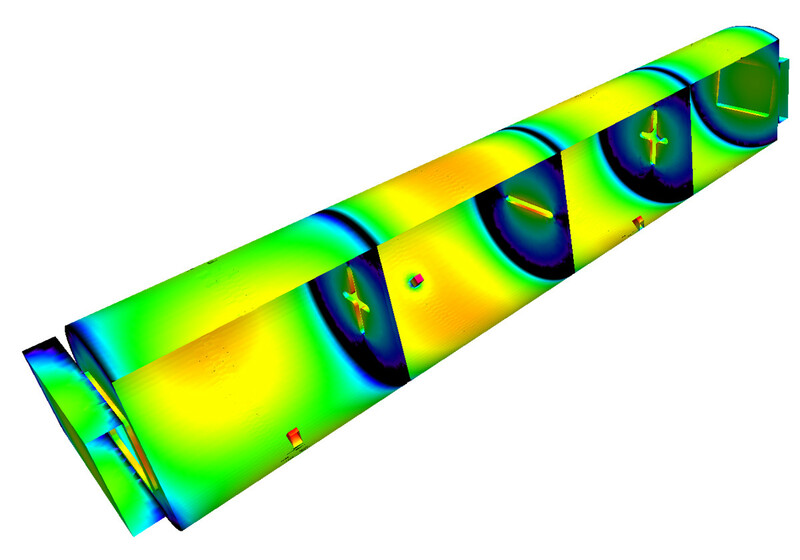 For the field calculation inside a 3D FEM element most settings and the handling is the same as for the "normal" field calculation with MM / BCMM and 2D FEM. The main difference is, that 3D vector plots of the fields are generated for the whole volume of the structure instead of plots along certain planes inside the element. These plots have the extension *.off and can be visualized with µWave Wizard's™ viewer (load/show geomview off-files). 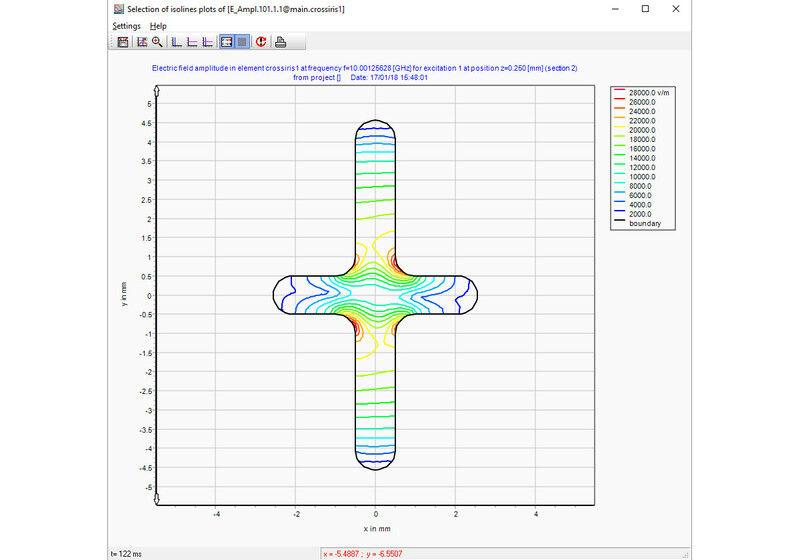 Also the fields can be calculated in every element simulated with 3D FEM and not only elements involving step discontinuities and planar elements. The naming convention of the plot files is the same as for 2D field plots, except the extension is now *.off instead of *.ipl.